I’m here today in 2019 with this blog all because of two 6th grade boys who didn’t know how to read way back in 1998. …the language arts teacher (me!) 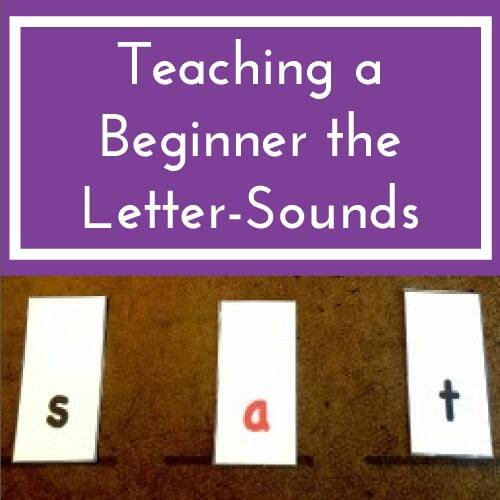 who didn’t know how to teach them to read? One boy, we’ll call Jeremiah, was outgoing, playful, funny, popular, but with a striking absence of working memory talent. Jeremiah is one of the most memorable students I’ve ever had across years of public school teaching and private tutoring. Besides of his infectious personality and because he had deep insight into how people think and act–way beyond his years. And yet, he was an 11 year-old who couldn’t read Hop on Pop. Pause for a moment. ? When I read aloud Where the Red Fern Grows to the middle school class, Jeremiah always could answer the deeper questions I posed about the characters’ motivations. He explained interpersonal dynamics to the class in ways that made sense to them. And yet he had never read a real book on his own. ? And I was more than a little agitated that I had a master’s in education, with courses in reading, but I had no system or plan to help this dear child learn to read. As chipper and outgoing as Jeremiah was, Eddie was the opposite. Eddie was sullen, always frowning, and mostly quiet. Eddie’s response to school seemed reasonable to me, though, because here he was, in 6th grade, and he, too, could not even read Dr. Seuss beginner books. What did I do? I searched high and low for an answer! I found every title about reading instruction in the local library and then moved on to the university library. The university library was a candy store for a book lover but the sugar crash came when I realized that no book’s “solution” seemed effective to me. Even worse, what the books suggested mostly contradicted each other. Have ya been there? ? One said try immersing the child with books. One said flash letter-sound cards at the child. One provided 101 activities with no suggested order or emphasis. Then I finally stumbled upon a book– Reading Reflex–at the end caps of the nearby Barnes & Noble and immediately recognized a system that could work. In fact, something inside me just knew it would work. I attacked the boys 😉 the following Monday with 2 activities from the book and a lot of hope. From the very beginning, the activities seemed to unlock something for them both. Letters and their sounds had escaped them, but this 1st session was a fragile thread that pulled them along towards real reading insight. I was pretty clumsy with the activities because all I had was the book–I had no one to talk to about the method. No coach who’d gone before me. Nevertheless, I saw signs of movement in their decoding. I begged their mothers to bring them to school early so I could work with each of them individually. Or after school? I had 80 students and 75 minutes to teach 6th grade language arts. 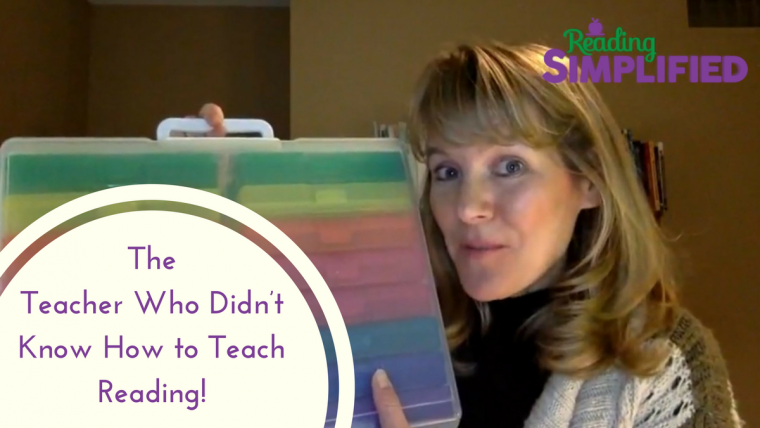 Teaching beginning reading to just 2 students in 2 different classes didn’t fit the curriculum so well. LOL. When I returned back to school after this pivotal spring break, Eddie and I especially spent more time together, just 1-on-1, following the system I had learned at the 5-day training. Even though he’d made essentially zero progress in learning to read in the prior 6 years of schooling, he started to learn to read with these new techniques. He read Henry and Mudge. Eddie lost the sullenness. Started to hope. And I was so gratified because I witnessed each day that the activities I was choosing were helping him progress–every day. Jeremiah made less progress because he was less able to come for extra time, but I did try to work with him during Channel 1 time–anyone remember that news series for schools? He, too, saw forward movement during each lesson. Then the end of the year came. I had only discovered the new approach a few months prior and felt as if I needed more time! The STAR assessment came back for both of them at around the beginning to mid-3rd grade mark for reading achievement. I was mostly pleased…but still unsettled. A huge gain, yes, considering they were at the low 1st grade level at the beginning of the year. But they were 11 going on 12 and they were now 3-4 years behind their grade in reading achievement. I was so shaken by the realization that children all over, in schools everywhere, like Jeremiah and Eddie, were struggling with learning to read AND many teachers like myself, who paid attention in school and got good grades, didn’t know how to help them. I decided to quit middle school teaching and tutor privately–to learn more and more about how to catch all kids up. With each student, I learned more. Made enhancements and shaved the unnecessary out. Eventually, this passion to figure out more efficient ways of teaching reading led me to go to grad school. Later I worked with teachers in university research studies, coaching them in the quickest ways to accelerate their struggling K-2 readers. 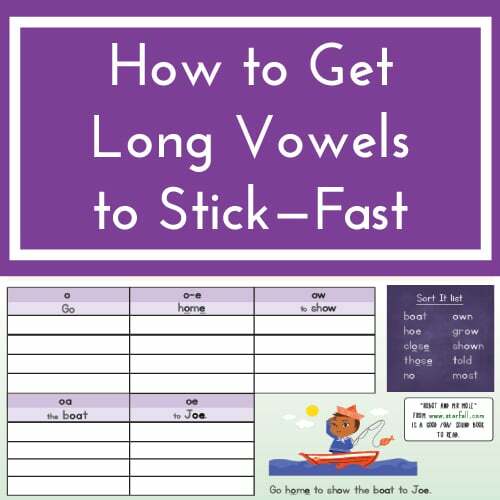 Over the 20 years since I first met Jeremiah and Eddie, I’ve kept following this mission of aiming for more and more efficient techniques of rapidly moving children towards easy reading achievement. For the young beginner or the one who is struggling. 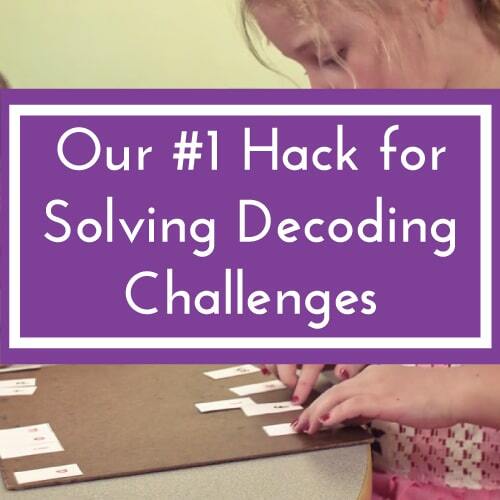 This mission is what led to the creation of Reading Simplified, to help teachers streamline their reading instruction while also accelerating their students’ reading achievement. Your Invitation! Level Up Your Readers’ Achievement in the Next 5 Days! Odd as it may seem, the first activity that I attempted with Jeremiah and Eddie about 20 years ago, that startled me into realizing they were seeing how our written code works for the first time, was an activity that I still use today. I call it Switch It. Switch It works wonders with anyone who’s not yet proficient at reading. Four year-old beginners. Eighth grade slow readers. Switch It works not only for me but for hundreds of other teachers I’ve worked with through research studies at the University of North Carolina. I’m so convinced of its power to accelerate any reader AND to save you both planning and instructional time, that I’m hosting a special event to challenge you to see how much transformation your striving reader(s) can make with just 5 minutes a day for 5 days. 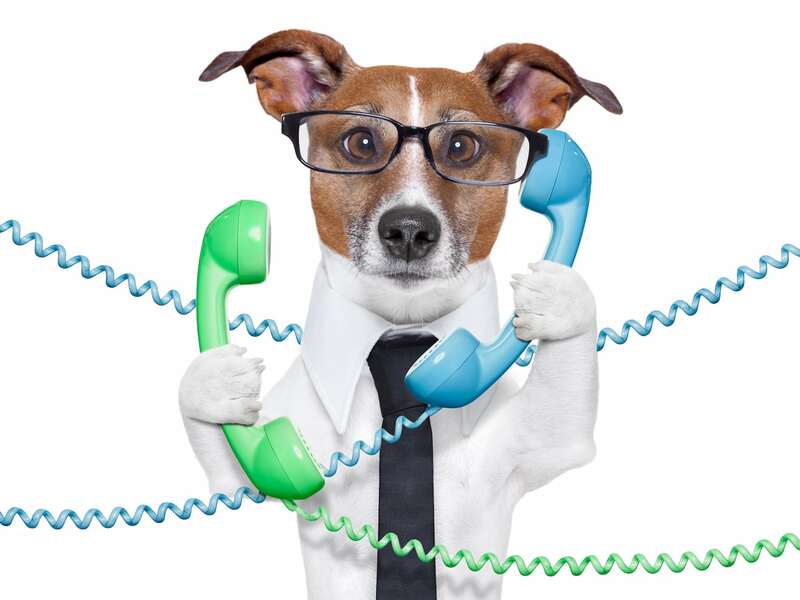 Please join us for the FREE Level Up Your Readers’ Achievement in 5 Days challenge…. 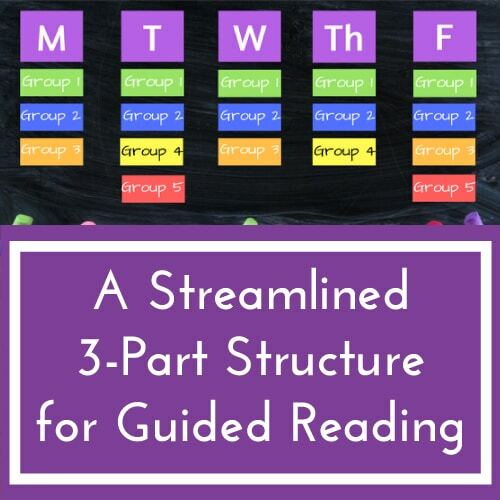 When you participate in this complementary Level Up 5-day challenge, you will witness faster transformation in your beginning or striving reader(s) than you ever thought possible. I’m providing the resources that you need and the coaching every day on Facebook live and via emails to fine-tune your approach. Little tricks I’ve learned over the 20 years since I first began this activity with Eddie and Jeremiah can shave weeks off your instruction! Honest! the chance to win student materials…. At the end of the event, we’re giving away a complete set of Reading Simplified materials (~180 pages) that’s normally only available to members of our Reading Simplified Academy. Who’s ready? Can you spare 5 minutes a day for 5 days to test me in this? Sign up below and watch your email for freebies and more info. Can’t wait to see you in our Level Up 5-day event!! Join us for the special event!! How’s your class coming along Melody? You’re such a boost, Katie. So I think I signed up but how do I know for sure?! And will these activities be suitable for kindergarten? Sue, did you get an email from me? 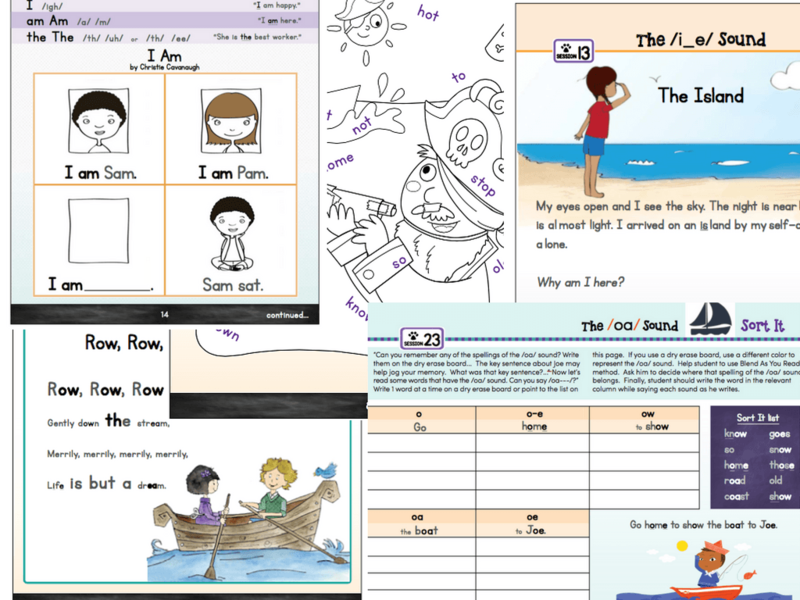 These activities are tailor-made for kinders. And really ANYONE who’s not reading really well already. (I also just finished using them with a 15 year-old, too.) The star student in the videos is a Kindergartner in Nov. who was already flagged by his teacher as being “behind.” And his mom is dyslexic so his parents were concerned. I just got the email! I’m excited to check this out! I have been subbing for a few years, received MA in elementary ed over the summer and have just taken over a kinder class for the rest of the year. I just finished a reading teacher for some of those kiddos and have seen several of them struggling! I would love to make an impact on them over the next 3-4 months. Next week is spring break but I use your resources daily and in my after school tutoring group! I always get great motivation from listening to you so I will be tuning in. It’s always encouraging to see a cheering-on friend. Definitely going to sign up! Yes! His phoneme manipulation has really grown. Our school district uses the program from 95% group. In addition we have new ELA curriculum that promotes test taking but not the love of reading. As a result I have a group of readers who are below grade level. I’m excited to try your strategies. I have been teaching 3rd grade for 16 years and this is my lowest group. My highest students are only reading mid-high 4th. Lisa, thanks for sharing. That’s a tough situation! ? The main activity we’ll learn during the Level Up challenge is well-matched for your situation. When I have 3rd grade students who are behind, I always start with this activity with them. I just don’t start with CVC words, but with CCVC words and harder. Keep me updated!! 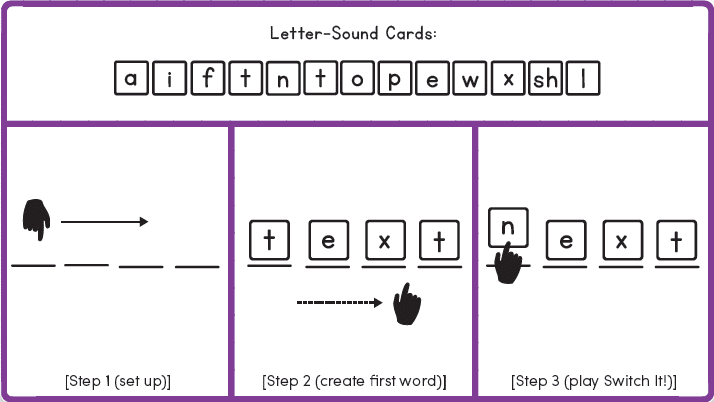 I worked with my Kindergarten intervention group using list one of Switch It. Students were amazingly engaged and very proud of their ability to complete the tasks. Hi fom New Zealand ? Thanks for saying Hi Robyn!! Amazing to be connected all across the earth. I have tried Blend as You Read and he has gotten where he can blend cvc words. We have moved to ccvc words and he still will leave off the beginning sound or he will put a totally different sound there. For example if we were blending the word ‘slap’ he would be able to say each sound but when he tries to say the word he may say ‘flap’ or just ‘lap’. I usually end up telling him the word and have him repeat it after me and he can do that. This is really driving me crazy. I’ve never had a student have this much difficulty blending. Do I just continue to do Blend as You Read with ccvc words until he gets it or do I need to move on to cvcc words. I’m really at a lost here. Twena, ok so you have a student with very weak phonemic processing. That’s something to acknowledge and put it at the top place in your goals for him. If he’s been getting reading support for awhile and only recently was taught using Blend As You Read, he may have, even unconsciously, given up. His brain may need to wake up. I would give a motivational speech and have a competition for him of some kind. And perhaps change up the look of your materials and even perhaps the location of your instruction. Drawing cards out of a hat to play charades is fun (words like “run” or “swim”). I call it Act It Out. Twena, yes, that’s what I meant. 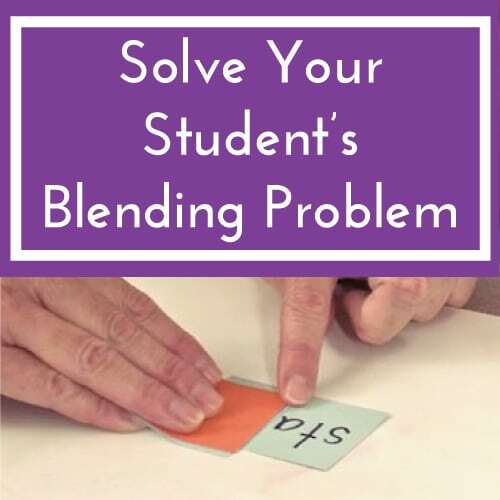 It should help to create a sort of “AHA!” Moment that may make doing blending without pictures quickly possible. Twena, super! I’ll be discussing these strategies tonight in 30 min! Is this training going to be run again anytime soon? There is less than 2 months of school left but any opportunity to move up students is a welcome one!! Thank you so much for sharing your years of hard work! It would be SO helpful to win this kit!! I am a teacher (currently not in a position, and therefore NO classroom budget), but I am having a challenge with my daughter who is reading well above grade level (in gr 2 reading 3.5-4th grade level texts), but is having severe difficulty with spelling/writing. I am perplexed and desperately looking for some remediation that I can use to help her. She is NOT interested in “baby” texts, as she reads so well. I am conflicted as to how to help her. 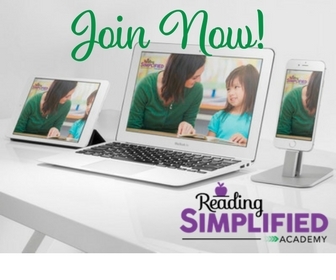 I have just signed up for Simplified Reading Academy and am hoping to find something there to help her. Danielle, you’re welcome! I’m so pleased that we’ve gotten connected! And a big welcome to the Reading Simplified Academy! I look forward to chatting more with you inside the Teachers’ Lounge. The contest is already over though. 🙁 Robyn in New Zealand won it! I’m confident we can help your daughter–so much easier with her success! She likely has a great visual memory and could use some shoring up of her sound-based decoding. The Reading Simplified activities will target that exactly. Once you get to the Sort It unit, I suggest you choose the 4th-5th grade packets so she doesn’t feel babied.